Grome Building sometime before 1913. The Grome Building was constructed in 1901 at a cost of $24,000 (more than $548,436.36 in 2011 dollars) for Edward Zelleken, one of Joplin’s wealthiest German immigrants. 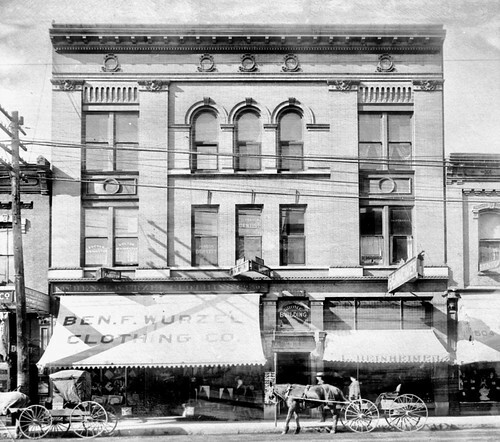 The building at 506 S. Main Street was home to the Ben F. Wurzel Clothing Company and medical and dental offices. Notably, the offices of Garstang & Rea were located in the Grome Building home until their move to California. 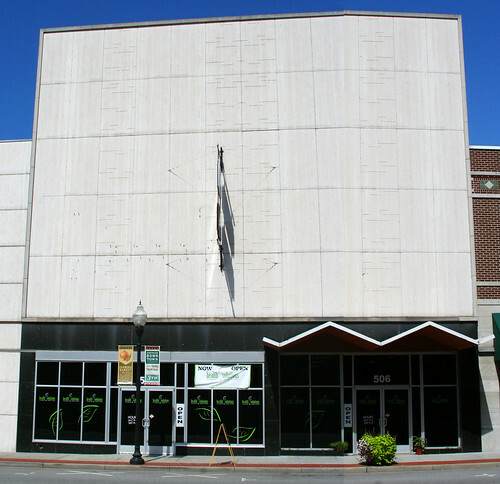 In later years, the building was home to Ralph L. Kassab’s business. At some point in the second half of the twentieth century, the beautiful facade was replaced with the current exterior. Nonetheless, the Grome Building still stands, one of the century old residents of Joplin’s historic Main Street. Grome Building as of July, 2010.